Environmental, Social, and Governance (ESG) information has received increased attention from investors in recent years. As of 2017, 75% of major companies around the world produced some form of Corporate Social Responsibility (CSR) report, up from 19% in 2002; this report is the most important source of a company’s ESG data. While the increased disclosure of information leads to added transparency, the additional information is not always pertinent to equity performance forecasts. In this vast array of information, how can an investor determine what is relevant? 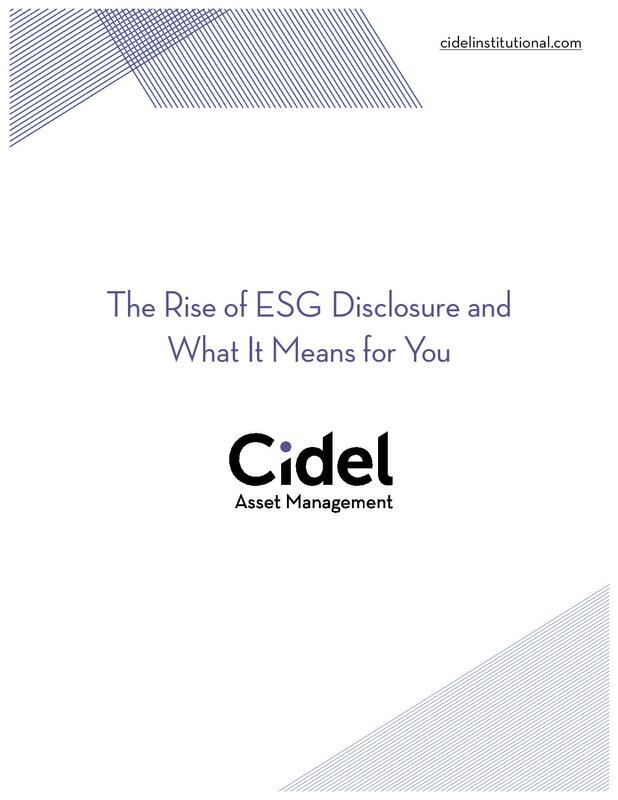 In these articles, Cidel Asset Management explores the Rise of ESG disclosures and takes a closer look at why Corporate Governance matters. Investors are seeking equity solutions that incorporate climate considerations. 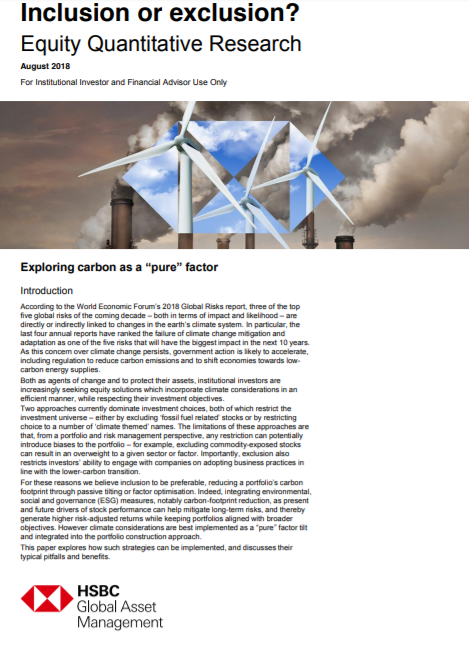 Reducing a portfolio’s carbon footprint by exclusion is a blunt approach. We prefer factor optimization in multi-factor portfolios, which can generate higher risk-adjusted returns while keeping portfolios aligned with broader climate objectives. ESG Investing Is Increasingly A Mainstream Investment Practice: Institutional investors are progressively more aware of the benefits of incorporating the analysis of environmental, social and governance (ESG) factors into their investment decision making. 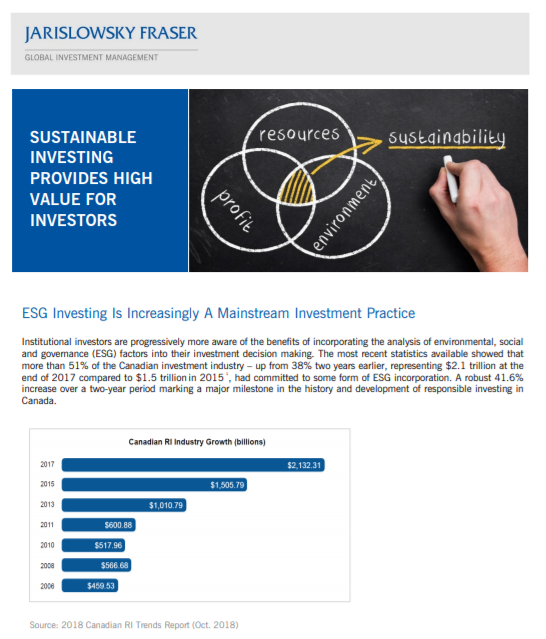 Learn more about ESG investing and why it is becoming an increasingly mainstream investment practice. 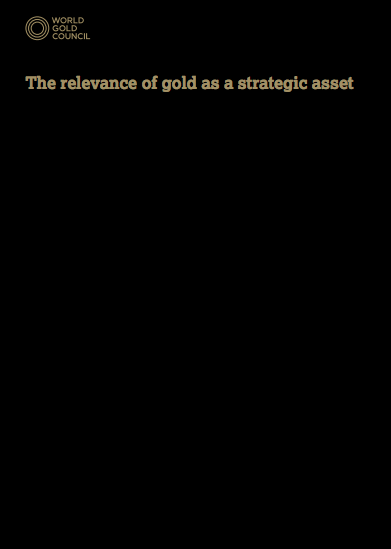 Our analysis shows that adding 2%, 5% or 10% in gold over the past decade to the average pension fund portfolio would have both increased returns and reduced volatility, resulting in higher risk-adjusted returns. Our investment philosophy and operating principles are fundamental to who we are as investors. 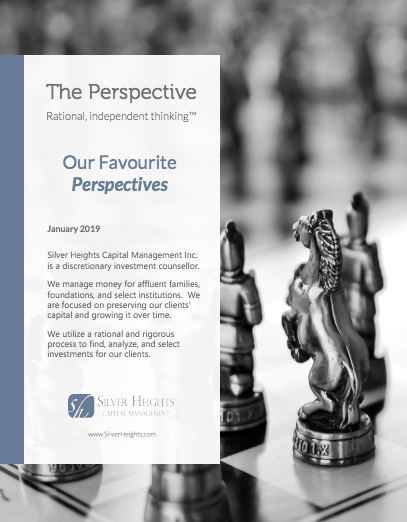 To give people deeper insights into how we think about risk and investing, we introduced our newsletter, The Perspective, shortly after we started Silver Heights in 2006. These aren’t market commentaries, but rather, articles written to provide insights into our approach to preserving and growing capital.